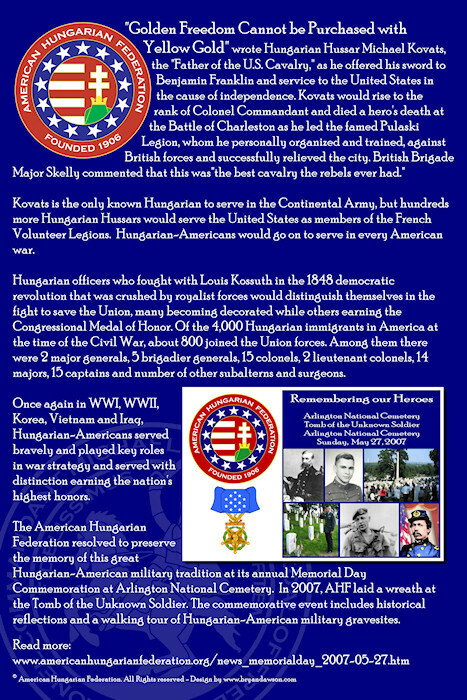 According to estimates, 50,000 Hungarian-Americans served in the U.S. military during the Second World War. 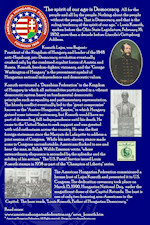 The newspapaper Szabadság (Liberty) commemorated the Hungarian-American dead by printing their name, rank and state of origin in a separate column on the front page of each issue. 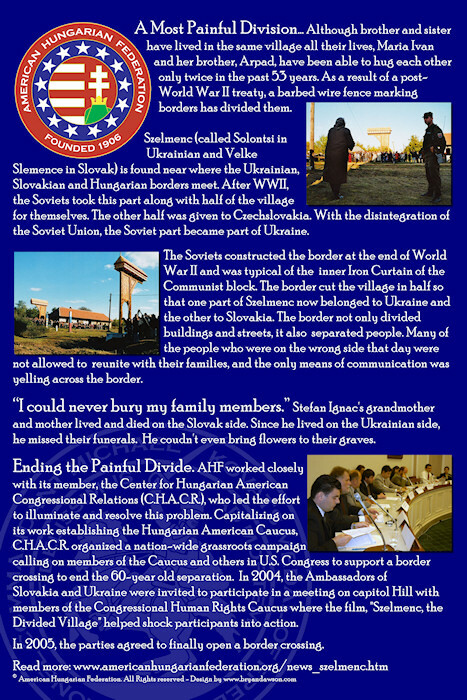 On the basis of this documentation alone, an average of 150 Hungarians died each month in 1945 alone. 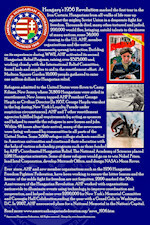 By all calculations, this is a conservative estimate. 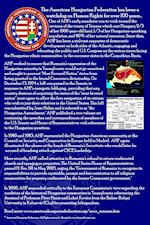 National organizations, as well as countless local ones lent assistance in every way possible. 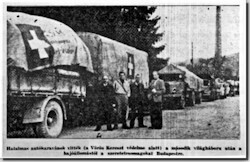 The Verhovay Insurance Association (a founder of AHF who would later become the William Penn Association) and the American Hungarian Federation purchased ambulances for the American Red Cross. 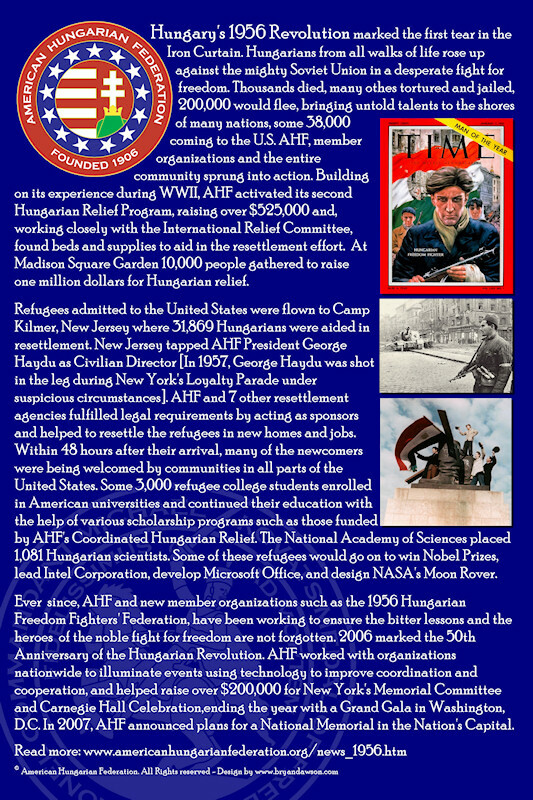 In 1945 Hungarian-Americans organized large-scale relief programs to help alleviate the sufferings of their countrymen in war-ravaged Hungary. 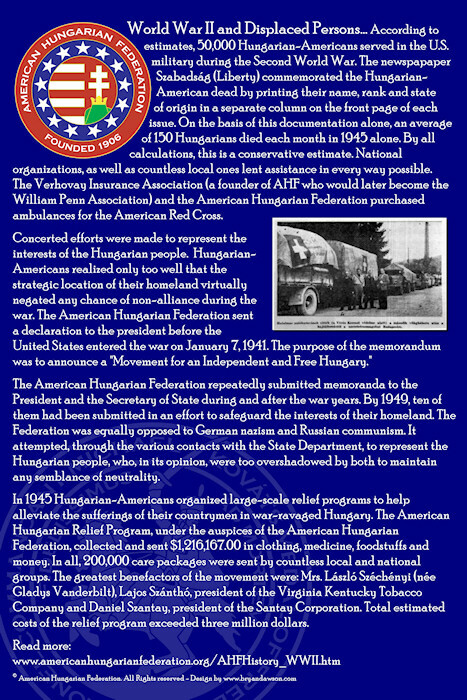 The American Hungarian Relief Program, under the auspices of the American Hungarian Federation, collected and sent $1,216,167.00 (over $10.7 million in today's dollars) in clothing, medicine, foodstuffs and money. 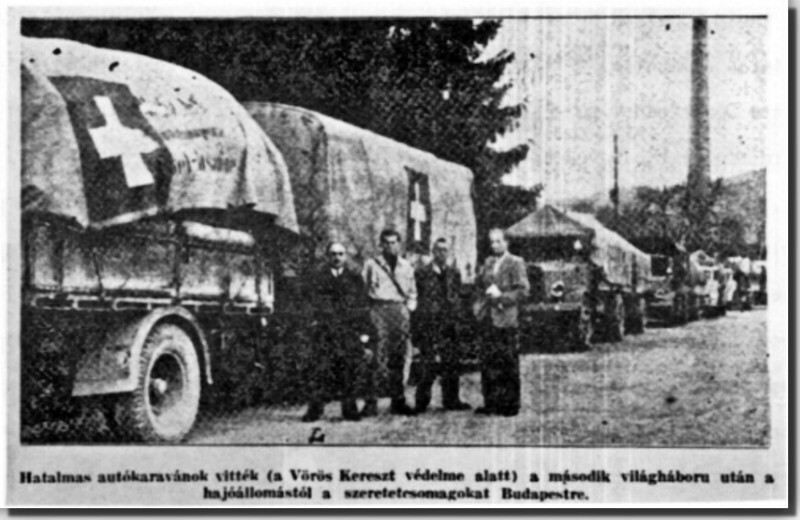 In all, 200,000 care packages were sent by countless local and national groups. 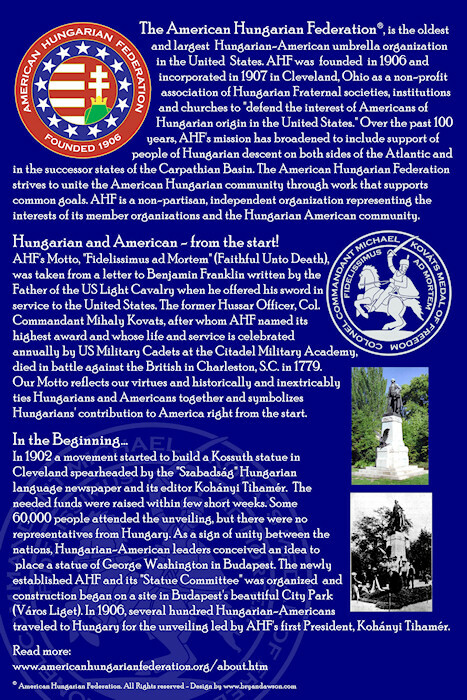 The greatest benefactors of the movement were: Mrs. László Széchényi (née Gladys Vanderbilt), Lajos Szánthó, president of the Virginia Kentucky Tobacco Company and Daniel Szantay, president of the Santay Corporation. 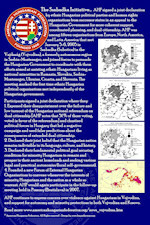 Total estimated costs of the relief program exceeded three million dollars. 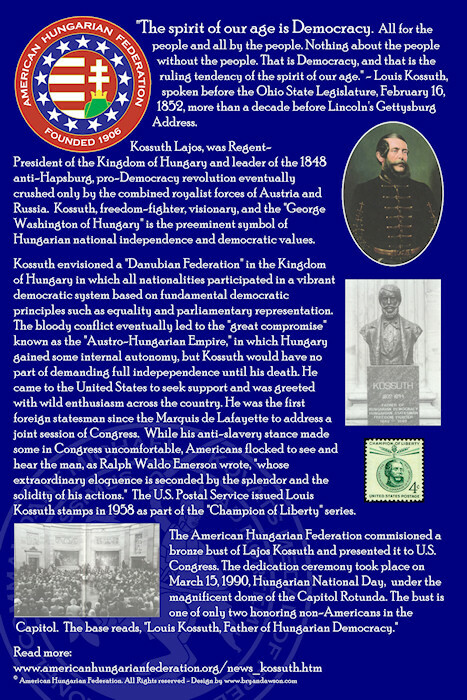 Concerted efforts were made to represent the interests of the Hungarian people. 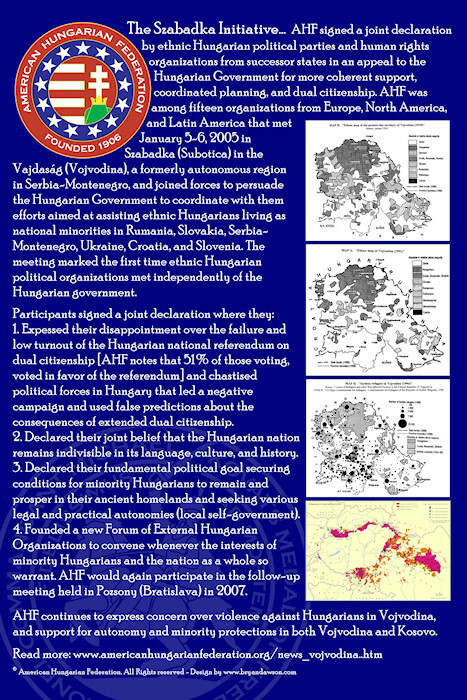 Hungarian- Americans realized only too well that the strategic location of their homeland virtually negated any chance of non-alliance during the war. 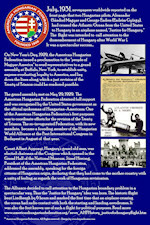 On the 31st of December 1940, the Amerikai Magyar Népszava, the most influential Hungarian language daily at the time, published a front-page editorial headlined “The Hour has Struck.” The editorial proclaimed that it was the “the historic mission of Americans of Hungarian origin to give voice to the cries of the silenced people of Hungary and to give their whole hearted effort to the liberation of their mother country which is clubbed into submission by the Nazi terror.” The editorial called upon the American Hungarian Federation to unfurl the banner of a Free Hungary Movement without hesitation or delay. 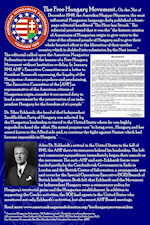 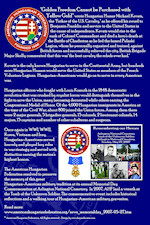 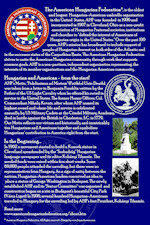 In January 1941 AHF 's Executive Committee sent a letter to President Roosevelt expressing the loyalty of the Hungarian-American populace and proclaiming,“The Executive Committee of the [AHF] as representative of the American citizens of Hungarian origin…consider it our sacred duty to lead a movement for the preservation of an independent Hungary for the freedom of it’s people.”The American Hungarian Federation sent a declaration to the president before the United States entered the war on January 7, 1941. 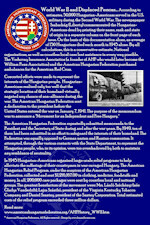 The purpose of the memorandum was to announce the "Movement for an Independent and Free Hungary." 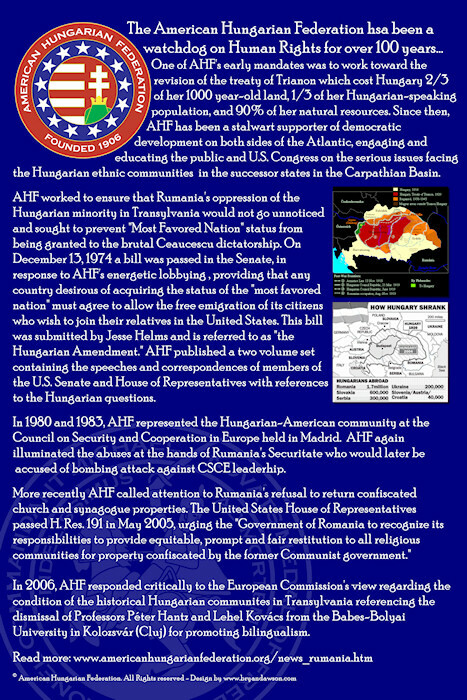 The American Hungarian Federation repeatedly submitted memoranda to the President and the Secretary of State during and after the war years. 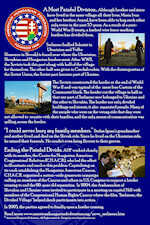 By 1949, ten of them had been submitted in an effort to safeguard the interests of their homeland. 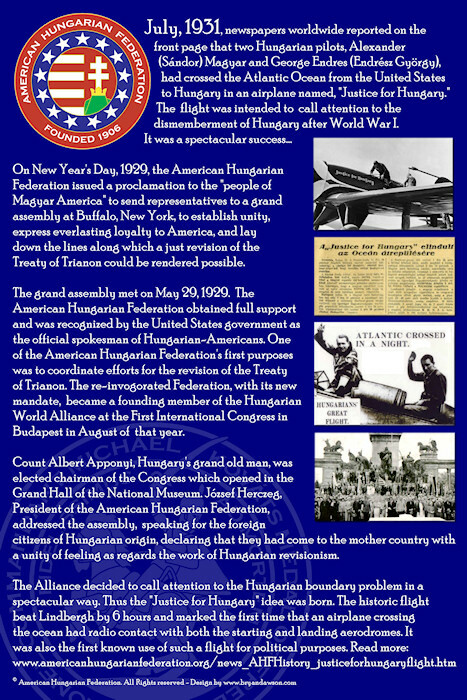 The Federation was equally opposed to German nazism and Russian communism. 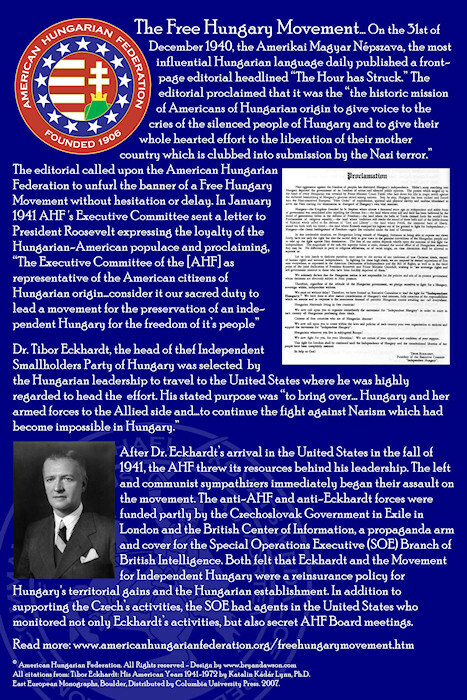 It attempted, through the various contacts with the State Department, to represent the Hungarian people, who, in its opinion, were too overshadowed by both to maintain any semblance of neutrality.